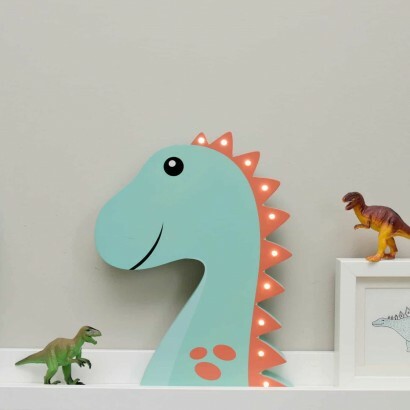 Kids will adore this sweet dinosaur room decoration painted in vibrant colours and detailed with delicate warm white LEDs. 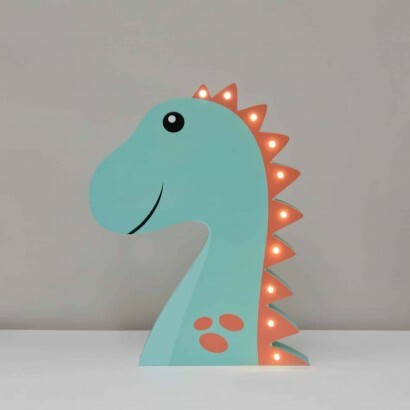 Made from MDF, this stylish dinosaur can be free standing or wall mounted adding character to your child's room with soft fairy lighting that runs along the spine of the dino. Battery operated, this adorable dinosaur can be placed anywhere for the comfort of soft light at night.